Immaculate and ready to move into NOW! 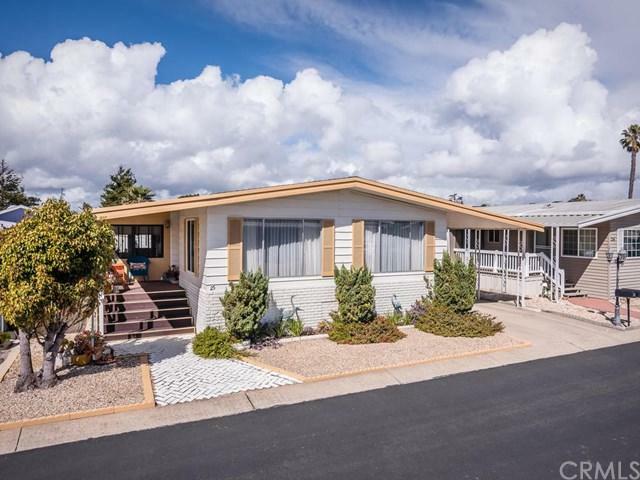 Live at the beach in a meticulously cared for home located in one of the most desirable senior resident owned mobile home communities in the 5 Cities area. 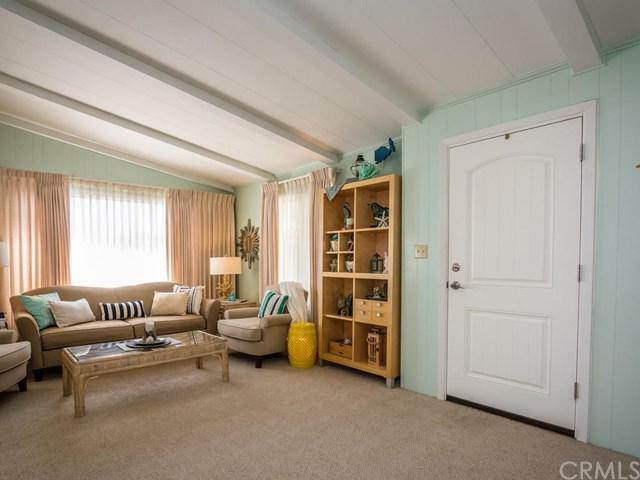 Located just one and a half miles from the beach and gateway to the Oceano Dunes, this well maintained, bright and airy manufactured home includes 1/70th ownership in Cienaga Sea Breeze which means NO SPACE RENT! The popular floor plan features a spacious living room that flows into the large dining room. 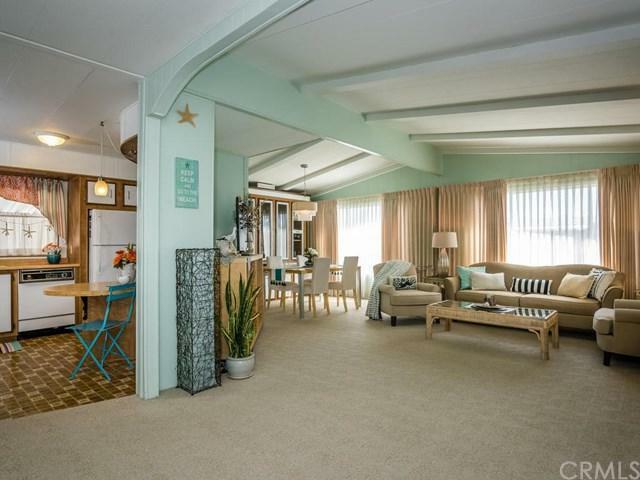 This perfect beach home features a hip mid century modern vibe with custom modern furnishings! 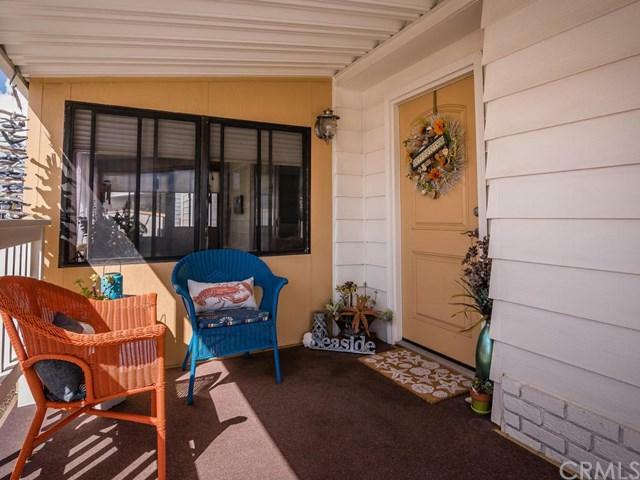 With 2 bedrooms and 2 full bathrooms, there's plenty of room for making this your easy living retirement home. Also included in the price is the refrigerator, washer and dryer, new dual pane windows, new paint inside and out, new flooring, new landscaping, new water heater, indoor laundry, large carport and storage shed! The wonderful enclosed sun room and low maintenance yard provide all the outdoor living areas you will need for enjoying the ocean breezes that are sure to refresh your soul. Cienaga Seabreeze features an active clubhouse, pool, spa, exercise room, bbq area, and a convenient trail with direct access to the beach! With all this special home and community have to offer, it is sure to go fast. Don't miss out! Furniture/Furnishings are negotiable!